Graphic set comes as a ten (10) piece kit. 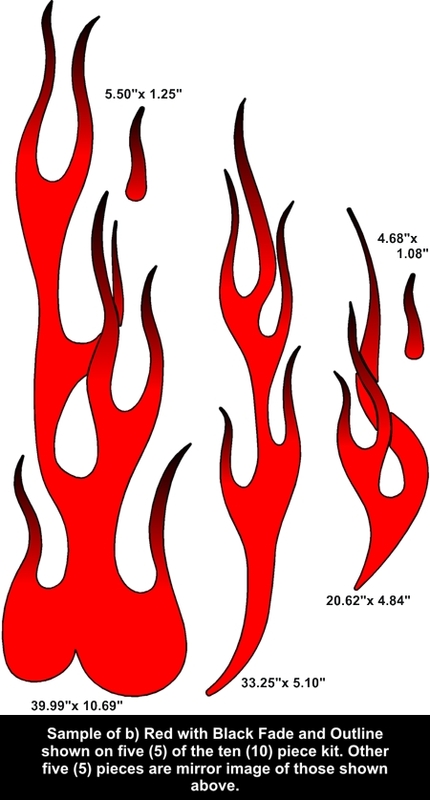 Available in one (1) of twelve color combinations, flames feature an outline and faded tips. 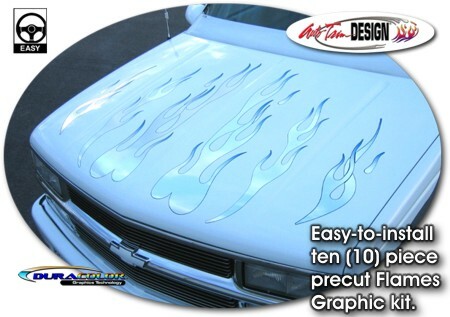 Graphics in the picture consist of a Silver Metallic base with a Black Outline and Black fades. Ten (10) piece kit consists of the five (5) Flame pieces in the size shown in the table above and five (5) pieces that are same size, simply mirrored.